Born in 1978 in Strasbourg, Julien QUIRIN began studying music theory and piano at the age of 11 respectively with Professors Rym and Myriam BOOS, who transmitted to Julien their passion for music. Julien's interest for music theory and composition grew stronger following a training course in Art History. After dabbling a bit in writing music, Julien at the tender age of 16 completed his first two serious pieces, namely a Prelude for piano entitled "Le Vendredi Saint" and Romance for the Harp. The next period in his career focused on two more whimsical works for piano (in 1997 and 1998), a duet for clarinet and piano (2000), a symphonic poem (2001-2002), a Ballad for violin and cello entitled "Retrouvailles" or "Reunions" (2003), an Agnus Dei requiem (2004) and a piece written for a choir, vocalist and instrumental ensemble, "Faust" (2005). In conjunction with his musical composition activities, Julien QUIRIN was enrolled in law school. Working as a trained legal expert, he has maintained over the past few years his passion for music. 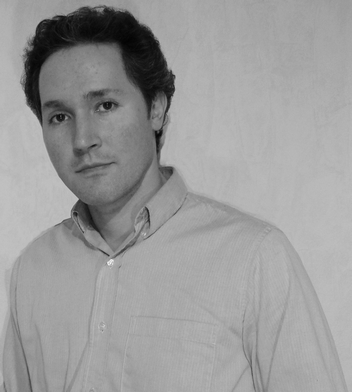 Alongside this professional activity in the field of law, Julien QUIRIN designed his musical Website during the year 2007. He then decided in 2008 to undertake the task of producing an album entirely on his own, from writing the various tracks to actually selling the CD. "Le Mont de Tariq", for a full orchestra (2011). Outside of his initial musical training, Julien QUIRIN is a self-taught composer. Music is not a line of work for Julien, but instead a true passion. His works are not shaped by any doctrine or popular trend. Julien QUIRIN's music has been composed according to his inspirations, with freedom and authenticity as his only guides. 1994: Prelude for piano "Le Vendredi Saint"
1994: "Romance for the Harp"
2003: "Ballade" for violin and cello: "Retrouvailles"
2012: Sonatine "Scènes de la vie d'un lutin"
2017 : "Olympus Mons", for orchestra and choir. 2018 : "Les Pléiades", for orchestra and choir. * You are hereby granted the right to consult, modify, correct and delete, as applicable, any of the data held regarding you personally. If you elect to use this right, please proceed via the "Contact" tab.